I am loving this fall weather finally!!! 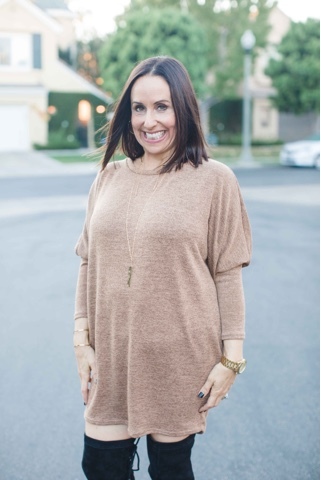 And one of my fall go to pieces is a great sweater dress. How cute is this one from Gray Monroe? You have to check out this site. They have the cutest pieces for the most reasonable prices!!! 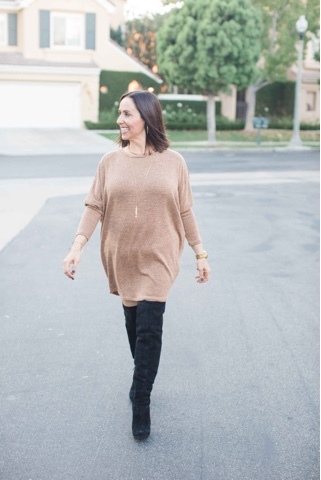 I added my favorite over the knee boots from Sam Edelman. I have had these for three years and I wear them all the time. They are perfect with a shorter hem dress like this one. It really elongates my legs, and for us ladies that are height challenged, hahahah, they make me feel so tall. I also am obsessed with my jewelry from Miranda Frye . I love this line and you must check it out. It is the perfect choice for you or as gifts this holiday season. 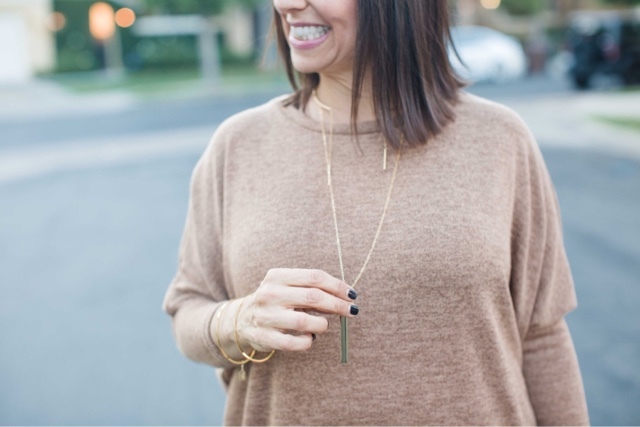 I love layering this gold choker with this longer gold necklace. And let's talk about this amazing bangle. I have gotten so many compliments on these pieces. I hope you check out these great sites and you can shop this and similar looks by clicking on the links above. Thanks to Taylor Cole for photos and Happy Reading!!! 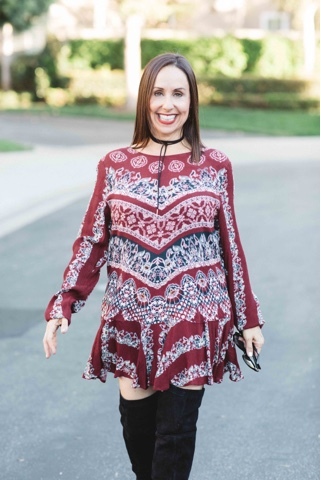 Lush Tunic-- I have this in black and white and I need it in every color. I literally wear this nonstop. Halogen Trench Coat-- Every girl needs a great trench and this one is perfect. AG Skinny Jeans-- These are one of my all time favorites. Perfect fit and great price. Hunter Boots-- I literally have had my Hunter boots for at least 7 years. They are so durable and cute too. 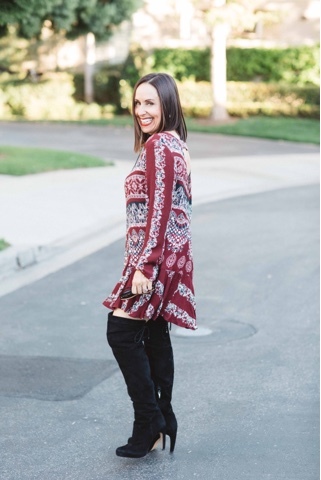 BP Leather Booties-- I have these in black and taupe and wear them all the time. Perfect heel height and great price. Tory Burch Clutch-- I love a great clutch and this one is so cute for those upcoming holiday parties. 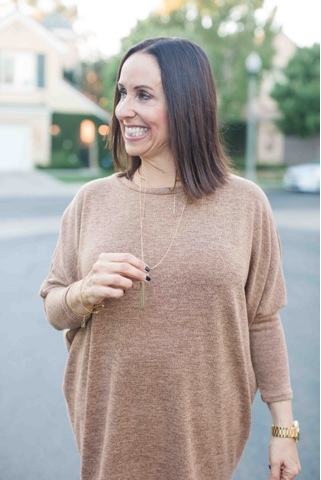 Kendra Scott Necklace-- This is one of my faves. You NEED this!!! Kate Spade Earrings-- These are the perfect sparkles for the holidays. Halogen Cashmere Gloves-- I love love these. They are so soft and cozy. BP Infinity Scarf-- I love these because they are not to heavy and bulky. You can click on the links above to shop and I hope you like these picks as much as I do!!!! Happy shopping and reading!!! 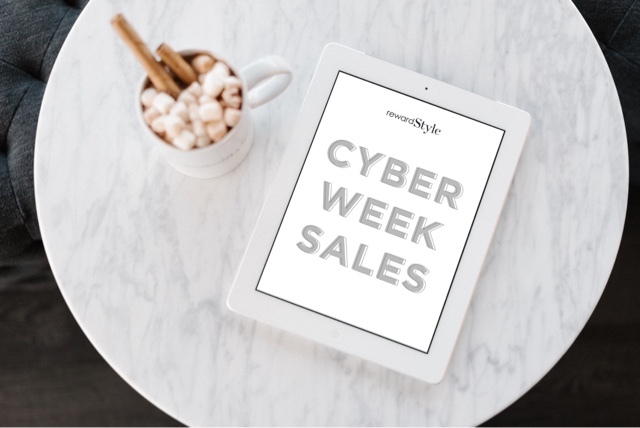 I can't believe that Black Friday and Cyber Monday are here!!! These are by far the best shopping days of the year with the best sales. I don't ever want to miss out on a good deal and I want to share my list with you. I will be updating this post throughout the weekend so keep coming back to find the best deals!!! // $150 off every $750 spent with code. 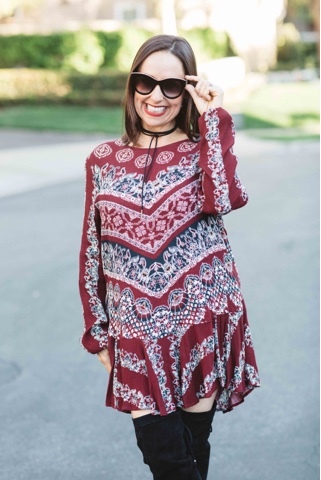 I just love love a great dress with some fun colors like this one from Free People!!! 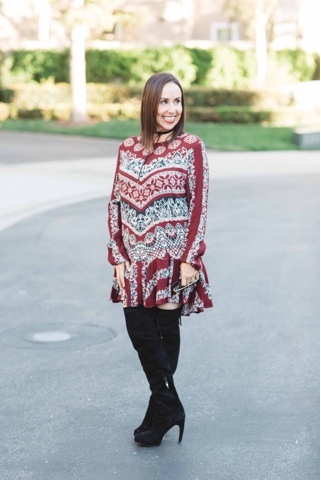 Isn't it perfect to wear to Thanksgiving dinner? 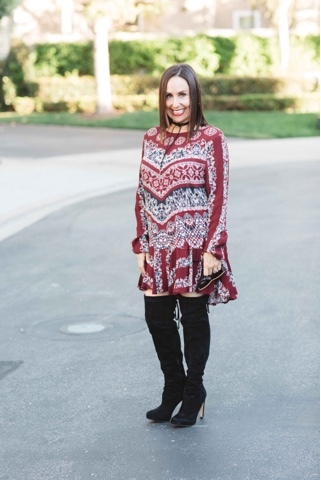 I paired this dress with my most favorite over the knee boots from Sam Edelman. I am absolutely obsessed with these boots. And this version does not break the bank. 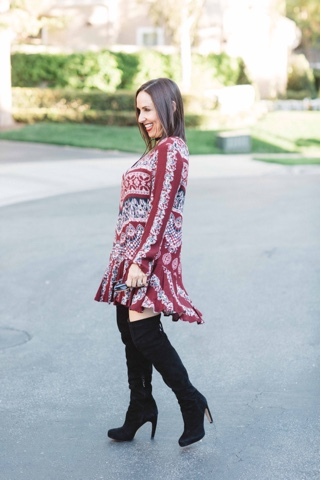 I love wearing these boots with shorter dresses like this one, or even over skinny jeans and a great top. I know Thanksgiving is tomorrow. I wanted to take this time to tell you all how thankful I am for all of you, my readers. It means the world to me to have your support and motivates me to keep doing what I love-- writing this blog. I hope you all have the best Thanksgiving with your families. Please comment and let me know how you will be spending Thanksgiving. Thanks to Taylor Cole for photos. 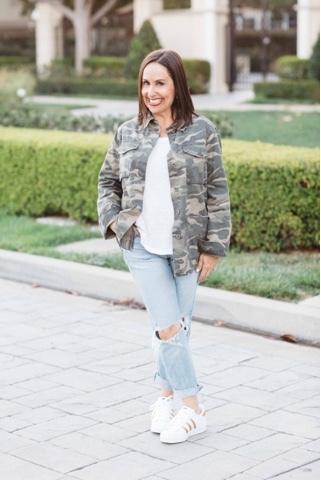 You can shop this look by clicking on the links above. Happy Reading!!!! Happy Holidays!!! I am so excited that the holidays are coming!!! Yay!! I wanted to share with you some gift ideas for that someone special today-- Your best girlfriend!!! My bestie is my girl Jessica who is like a sister to me. Every year I love to get her that something special to let her know how much she means to me. 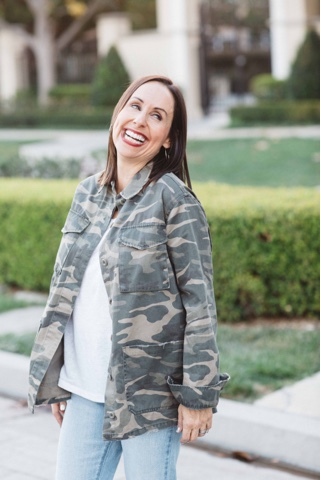 Here are some of her favorite things that I think your BFF will love too!!! Drybar Coffee Mug-- Jessica loves getting her hair done at Drybar and they have the cutest little gifts. This saying is so witty like her and it will be perfect for her early morning coffee!! Nordstrom Wine Glasses-- Nordstrom is really stepping it up in their home decor department, Have you seen it lately? It is so cute. What else could make for a perfect evening but reality t.v. and wine with your bestie right? Wildfox Holiday Top-- My bestie loves to wear themed shirts during the holidays. And how cute and cozy is this one? Perfect for her. Halogen Slouch Beanie-- Jessica loves wearing beanies when it's cold out. This is perfect to give to your bestie for wearing on a cold night out to see that new chick flick!! Cotton Tshirt-- How cute is this? Every girl needs a great graphic shirt!! Butter London Lipglosses-- When us girls are together we just love borrowing lip gloss. So it is the perfect girlie gift. You can never have too many. Sugarfina Champagne Bears-- I'm obsessed. They are the yummiest ever!! Your BFF will love them. Argento Vivo Letter Necklace-- What a perfect way to let her now how special she is. Jessica got one of these for me and I love it. Dytique Candles-- These are the best. I love these because once you have burned them you can use the holders as decorations and put cute things in them like makeup brushes. And they smell so good. P.J. 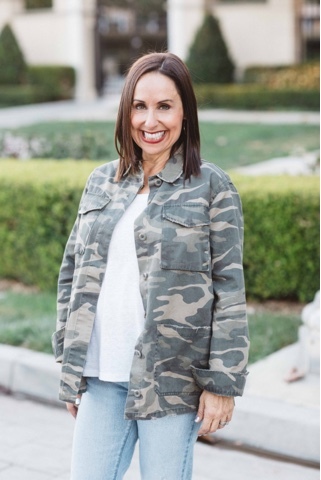 Salvage Pants-- These are the most comfortable lounging pants ever for your fun girls night in!!! You can shop these looks by clicking on the links above. What are your favorite gift ideas for your BFF? Happy reading!!! I can't believe Thanksgiving is next Thursday!!! What are you all doing to celebrate what we are thankful for? I'm going to the desert to celebrate with my hubby and the boys and my cute little dad (who just turned 90 years young), and some great friends are coming too. Thanksgiving can be so tricky. Some people do very casual get togethers and some go all out with fancy dinners. 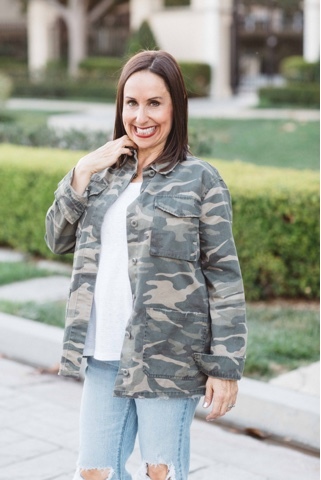 I thought it would be fun to share some fun outfit ideas if your dinner is casual or dressy. I hope these looks give you some ideas. 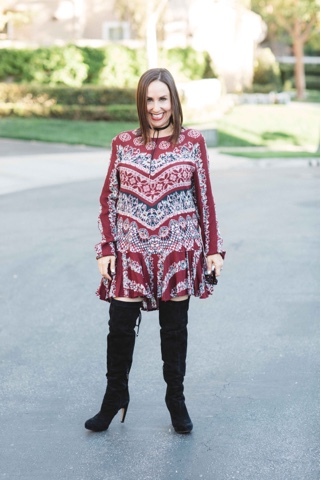 Please comment and let me know what you will be wearing at your Thanksgiving dinner. Happy Reading!!! Lately I've been in love with anything camo. I have seen it everywhere-- sweaters, tops, pants and jackets, just like this version from Topshop. 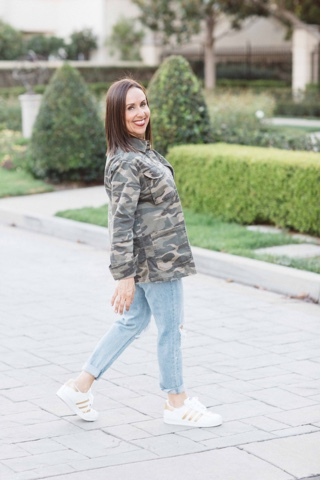 A utility jacket is such a perfect essential to add to your wardrobe. 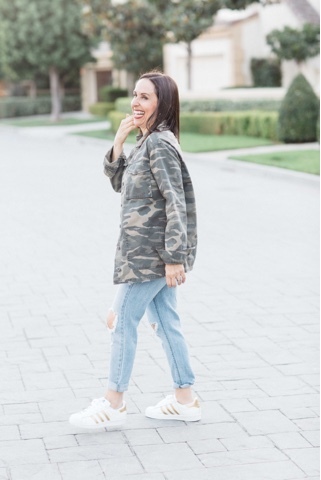 It is so comfy and can be paired with boyfriend jeans and some tennis like I have done here. 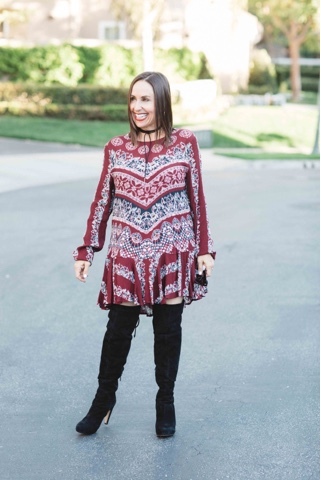 You can also wear it over a little black dress and booties, or even skinny jeans and some heels and give it more of a dressy flair. 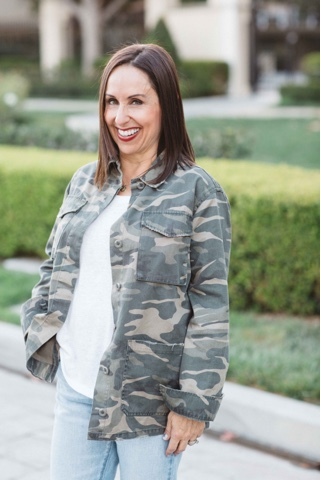 I highly recommend you give camo a chance in your wardrobe. 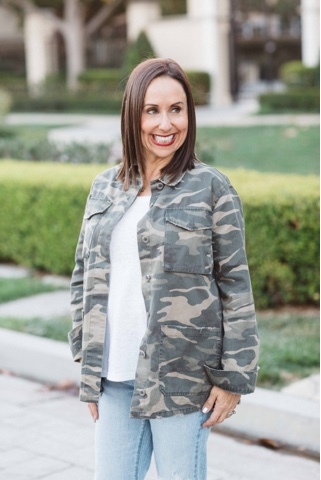 Try adding a fun jacket like this to your everyday look!! Let me know what you think!!! 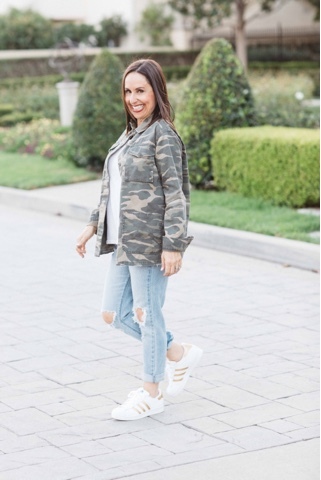 Thanks to Taylor Cole for photos and you can shop this look by clicking on the links above. Happy reading!!!! 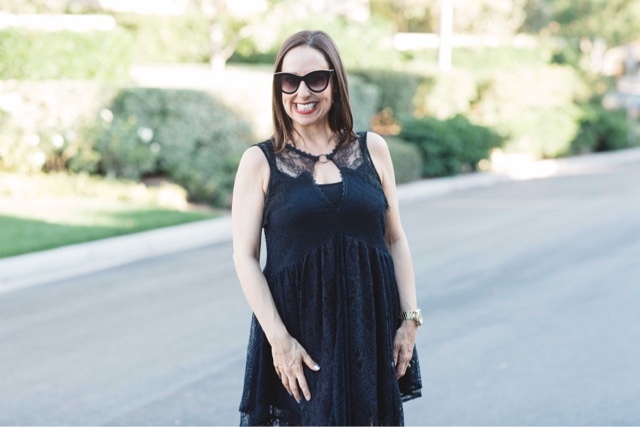 How cute is this Free People Little Black Dress? 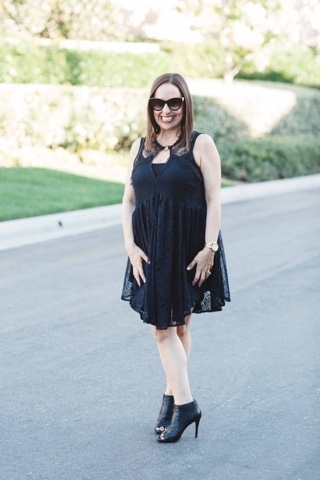 I'm always on the hunt for the perfect LBD and this lace version is my new fave!!!! I love the details and it is so comfy. I think it will be perfect for the upcoming holidays!!! 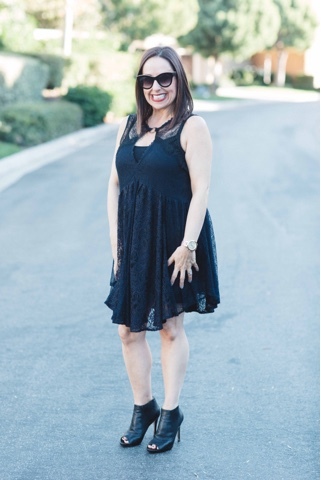 Just remember, when in doubt of what to wear to a holiday party, always go with a great LBD!!! It will never fail you and will always be a classic option. 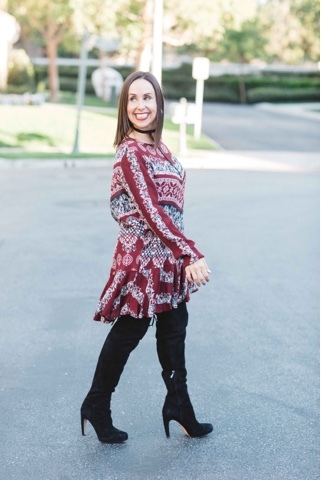 I paired this dress with some fun open toed heeled booties as an alternative to a pair of heels. I love love these from Jimmy Choo (which I picked up on sale a few years back). And lets talk about how cute my Stella McCartney sunglasses from the fun site Ditto are? I hope you have some fun holiday upcoming plans. I can't wait to share with you some great holiday looks and gift ideas coming to the blog soon!!! You can shop this look by clicking the links above. Thanks to Taylor Cole for photos and Happy Reading!!!!! !